In search of beautiful combos? If so, then you should give a try to a scarf worn with a jacket. This pairing will not only make you look trendy and chic, but it can also provide a greater warmth and protection. No matter if it’s a leather jacket, blazer, down-jacket or tailored topper, you can always compliment it with a bright or solid color scarf. Speaking of scarves, then I recommend to buy the ones made of warm fabrics, like fleece, wool or cashmere. 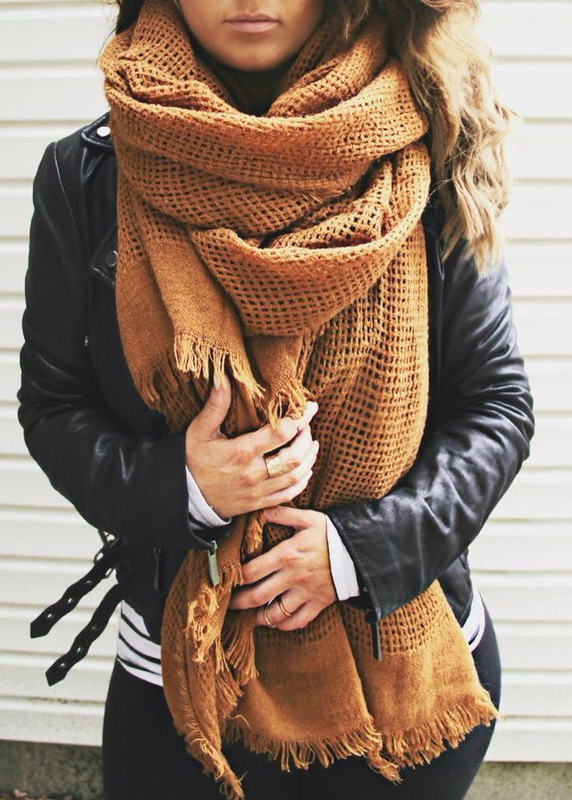 If you still don’t know how to wear scarves with jackets, then you should know that there is no secret science, all you need is to know a couple of tricks. 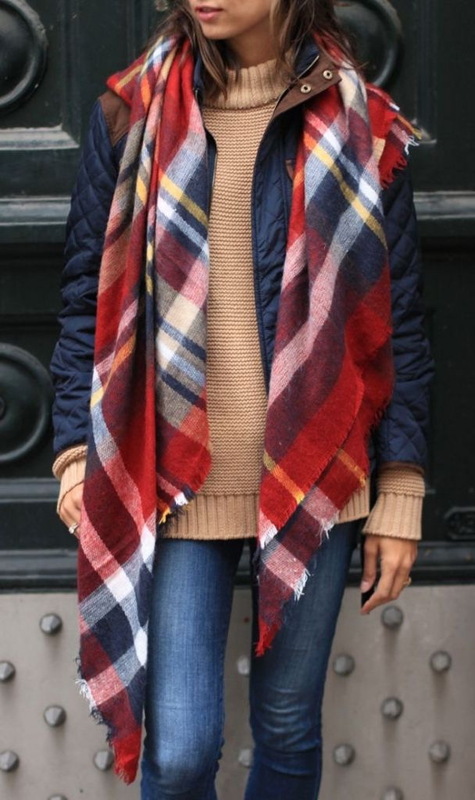 I know for sure, a stylish scarf can drastically change the feel of an outfit and make it look individual and creative. 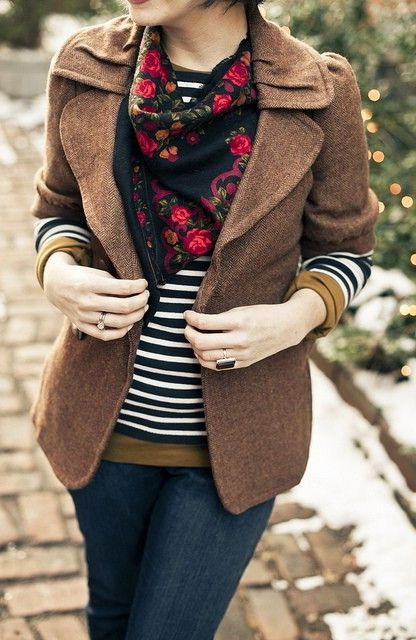 Scroll down to see my favorite outfit ideas and tips on how to wear scarves with jackets. 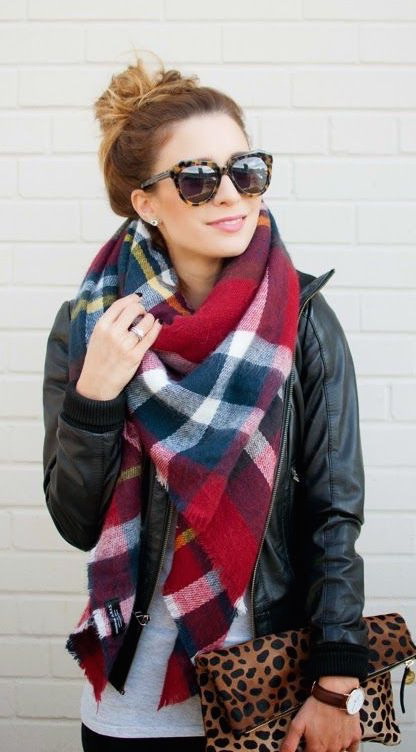 Here is depicted a plaid long scarf worn with a black leather biker jacket, elongated white top and black leather leggings tucked in black ankle-boots.